The Finnish-born Maila Nurmi became famous in the United States as Vampira, the first horror tv host. 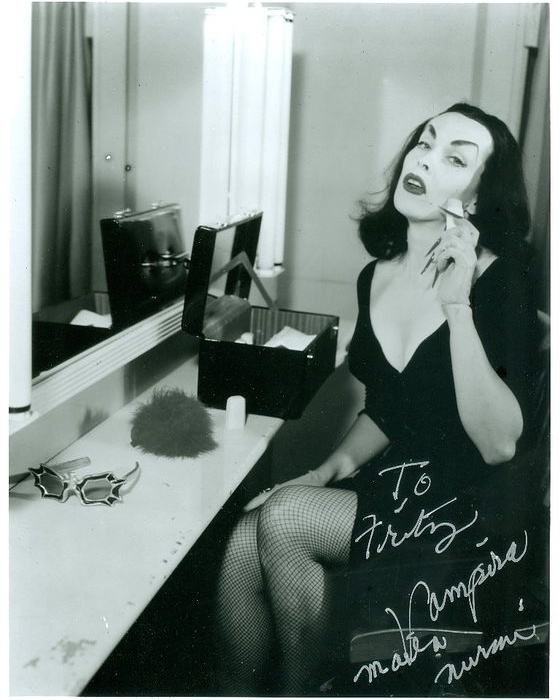 Protagonist of the Vampira Show in 1954/1955, she also starred in Plan 9 from Outer Space (1959) by Ed Wood. The idea for her character was born in 1953 when she attended the Bal Caribe Masquerade in a costume inspired by Morticia Addams. Her characterization was also influenced by the Dragon Lady from the comic strip Terry and the Pirates and the evil queen from Disney’s Snow White and the Seven Dwarfs (1937). In the picture above, shot in her dressing room, Nurmi was applying a foundation stick, the now iconic Pan Stik by Max Factor. 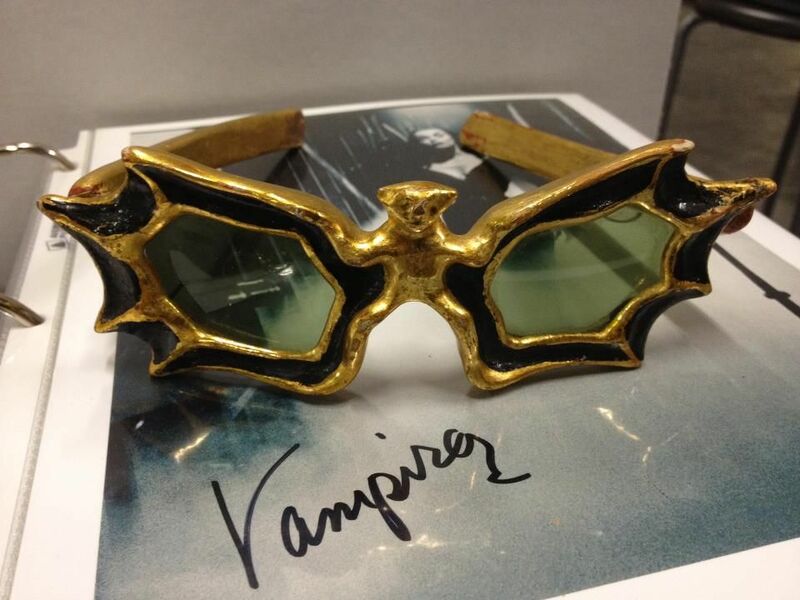 Her trademark bat sunglasses can be seen, too.